Rev. 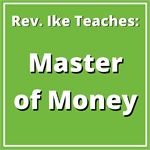 Ike motivates, inspires and empowers you in this short, revealing lesson! He teaches you that you must "Be definite with the Infinite!" You'll learn that not only must you define what you WANT – you must define "Who you are" – your self-awareness! You Are Not Other People's Opinion! Rev. 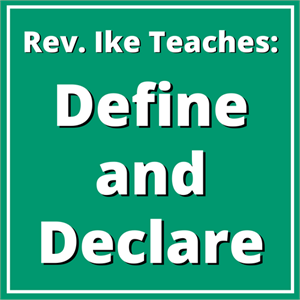 Ike invites you to do some soul-searching and ask yourself: "What is my self-definition? What do I think about myself? And where did I learn this from?" Through repetition, you'll learn to not be influenced by the negative or limiting opinions of others and of the world – but to define (or re-define) yourself – and recognize your true worth and deservedness as God's Child! Participate in an Empowering Affirmation!! And finally, you'll interact with Rev. Ike as you participate in a powerful affirmation that will reach down into your subconscious mind to Define and Declare yourself as Good Health, Love, Success, Prosperity, and Money! 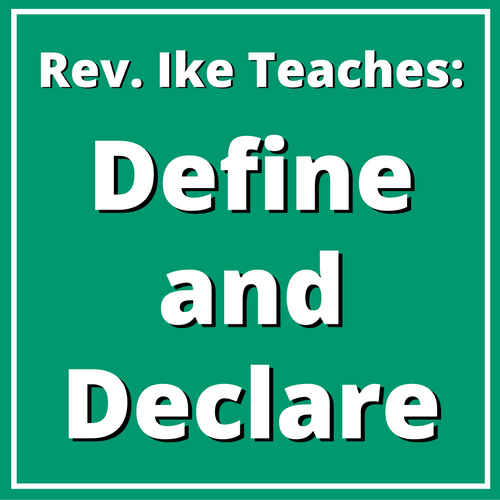 This audio teaching is based on chapter 2 (Define & Declare) of Rev. Ike's life-changing Study Guide, but takes the message even further and deeper to help you create a more positive self-image in order to manifest the good that desire! 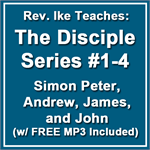 The special price for this short (but powerful) 28-minute teaching on MP3 is only $4.95.